Here’s what’s up in the world of TV for Tuesday, May 9. All times are Eastern. 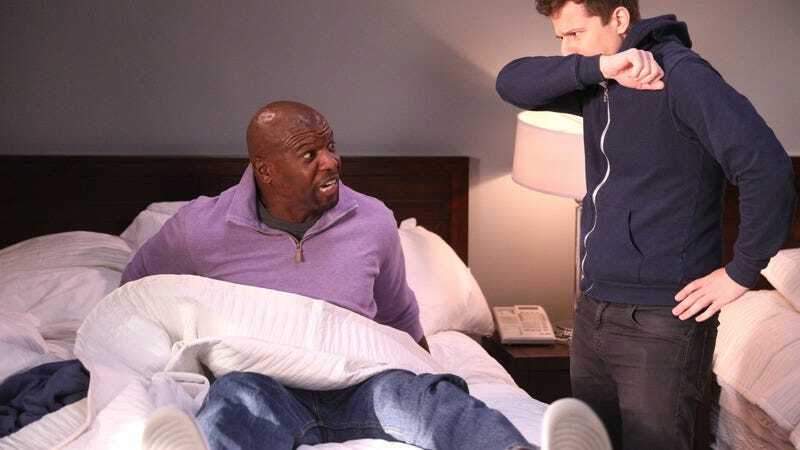 Brooklyn Nine-Nine (Fox, 8 p.m.): Fox is giving us the gift of not one, but two Brooklyn Nine-Nine episodes. In the pair, the gang goes to a cop convention, Scully finds something resembling love, Amy has a freak-out, and Andy Daly guest stars. The Americans (FX, 10 p.m.): Calling an episode of The Americans “intense” is essentially redundant, but this week’s is a doozy, with major repercussions for the Jennings. Norm MacDonald: Hitler’s Dog, Gossip & Trickery (Netflix, 3:01 a.m.): The only thing we’ve seen so far of Norm MacDonald’s take on the Netflix special—which is now a requisite for all comedians—is a riff on the abbreviation “ID.” It’s correct, slightly bizarre, and delivered with MacDonald’s signature expertise. Now watch what else he has up his sleeve. Come on, the title has to intrigue you, if nothing else.